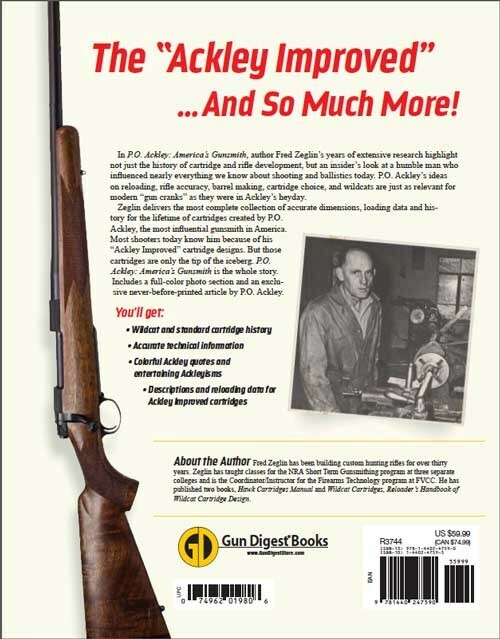 Writer and gunsmith Fred Zeglin gives a never-before-seen look at the humble man whose research thrust the firearms industry forward. 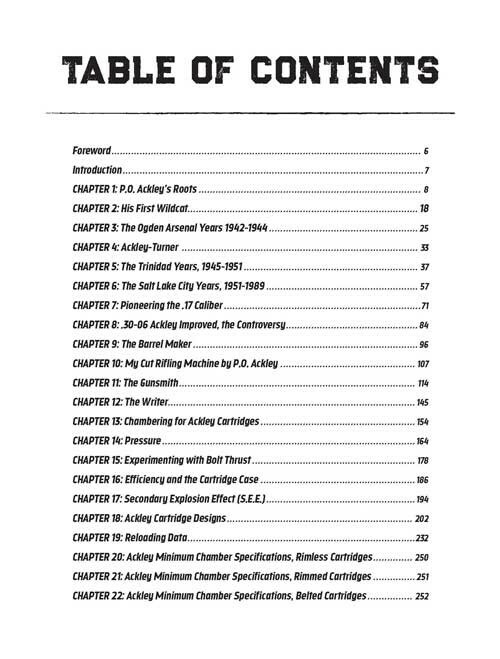 From improving rifle chambers for use with modern powders to developing superior barrels to designing red-hot cartridges, readers will walk away with a new appreciation for Ackley’s exploration and ideas. 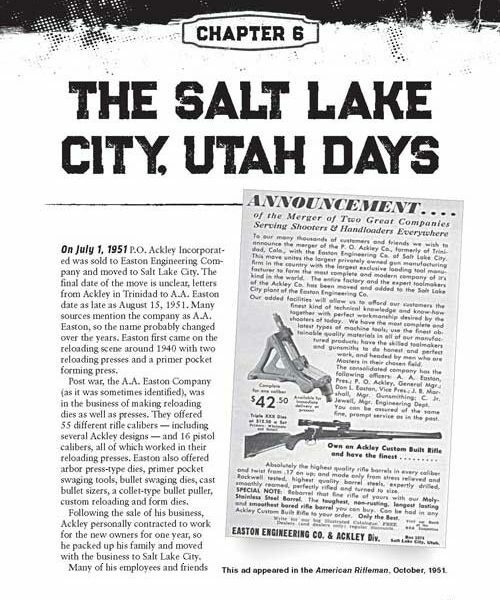 And his concepts on reloading, rifle accuracy, safety, cartridge choice, and wildcat use are just as relevant for today’s “gun cranks” as they were in Ackley’s heyday. 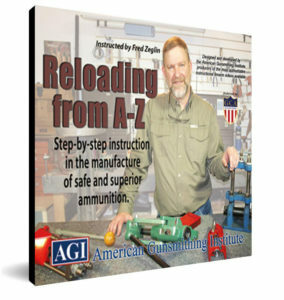 Tom Gresham of GunTalk Radio interviews Fred Zeglin about P.O. Ackley, America’s Gunsmith. Book, Hard cover, 256 pages. 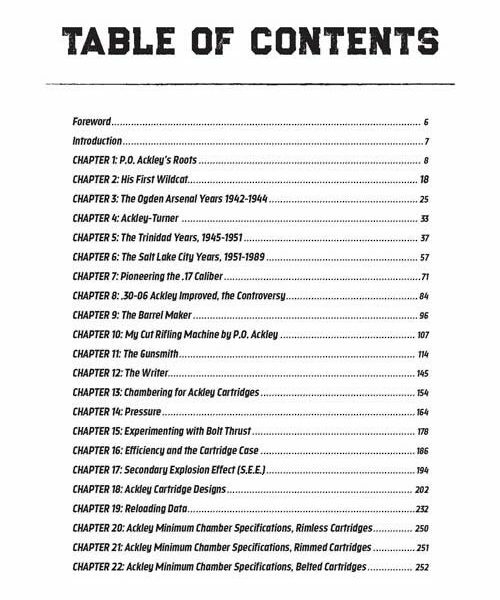 Parker Otto Ackley left a wealth of firearms knowledge among those he trained. 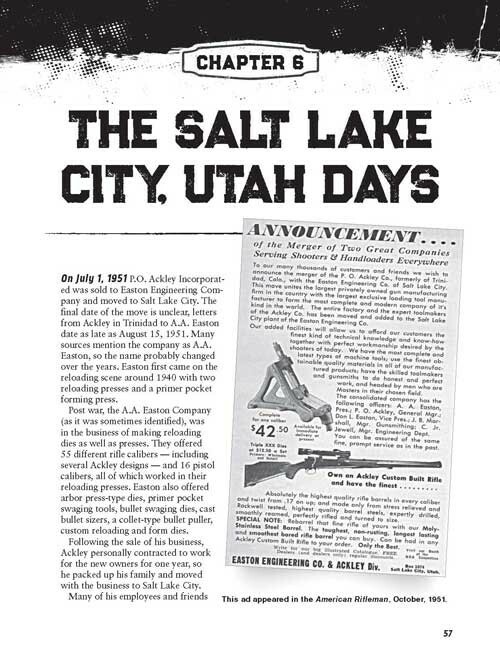 The eminent gunsmith, ballistician, barrel maker, teacher and writer perhaps had more influence on modern shooting and firearms than any other single man. And now his life and works have been painstakingly detailed in P.O. 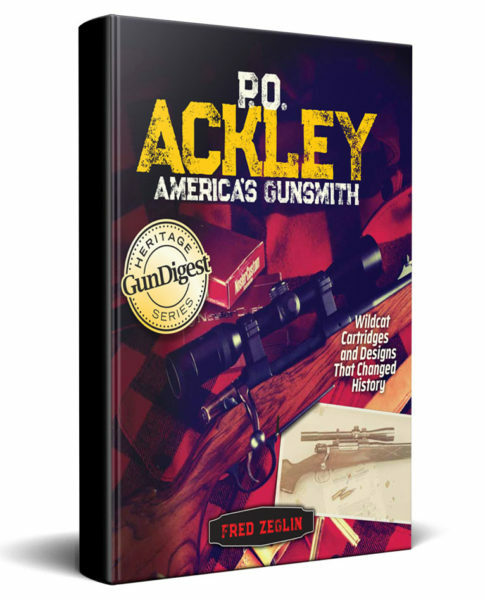 Ackley: America’s Gunsmith. Zeglin also delivers the most complete collection of accurate dimensions, loading data and history for the lifetime of cartridges created by P.O. Ackley, the most influential gunsmith in American history. Most shooters today know him because of his “Ackley Improved” cartridge designs. But those cartridges are only the tip of the iceberg. P.O. 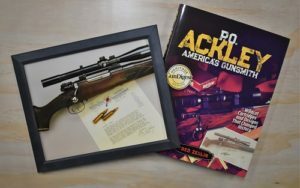 Ackley: America’s Gunsmith is the whole story. Bonus: Full-color photo section and an exclusive never-before-printed article by P.O. Ackley. Book will be autographed and dated. Fred Zeglin has been building custom hunting rifles for nearly thirty-five years. Zeglin has taught classes for the NRA Short Term Gunsmithing program at three separate colleges and is the Coordinator/Instructor for the Firearms Technology program at FVCC in Kalispell, MT. 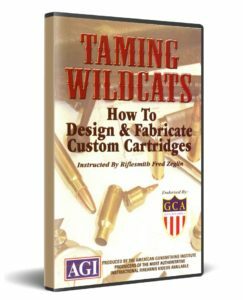 He has published two other books, Hawk Cartridges Manual and Wildcat Cartridges, Reloader’s Handbook of Wildcat Cartridge Design.